For certain women at high risk for breast cancer, screening magnetic resonance imaging (MRI) is recommended along with a yearly mammogram. MRI is not generally recommended as a screening tool by itself, because although it is a sensitive test, it may still miss some cancers that mammograms would detect. MRI may also be used in other situations, such as to better examine suspicious areas found by a mammogram. MRI can also be used in women who have already been diagnosed with breast cancer to better determine the actual size of the cancer and to look for any other cancers in the breast. MRI scans use magnets and radio waves instead of x-rays to produce very detailed, cross-sectional images of the body. The most useful MRI exams for breast imaging use a contrast material (called gadolinium) that is injected into a catheter in a vein (IV) in the arm before or during the exam. 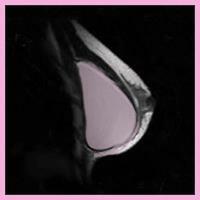 This improves the ability of the MRI to clearly show breast tissue details. Although MRI is more sensitive in detecting cancers than mammograms, it is more likely to find something that turns out not to be cancer (called a false positive).False-positive findings have to be checked out to know that cancer isn’t present, which means coming back for further tests and/or biopsies. This is why MRI is not recommended as a screening test for women at average risk of breast cancer, as it would result in unneeded biopsies and other tests in a large portion of these women. Just as mammography uses x-ray machines that are specially designed to image the breasts, breast MRI also requires special equipment. Breast MRI machines produce higher quality images of the breast than MRI machines designed for head, chest, or abdominal MRI scanning. 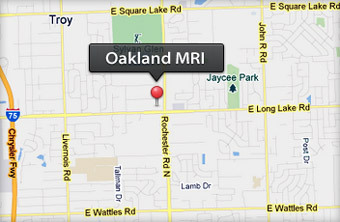 However, not all hospitals and imaging centers have dedicated breast MRI equipment available. It is also important that screening MRIs be done at facilities that can perform an MRI-guided breast biopsy. Otherwise, the entire scan will need to be repeated at another facility when the biopsy is done. MRI is more expensive than mammography. Most insurance that pays for mammogram screening also will probably pay for MRI for screening tests if a woman can be shown to be at high risk, but it’s a good idea to check first with your insurance company before having the test. It can help to go to a center with a high-risk clinic, where the staff can help getting approval for breast MRIs. MRI scans can take a long time—often up to an hour. For a breast MRI, you have to lie inside a narrow tube, face down, on a platform specially designed for the procedure. The platform has openings for each breast that allow them to be imaged without being compressed. The platform contains the sensors needed to capture the MRI image. It is important to stay very still throughout the exam. Lying in the tube can feel confining and may upset people with claustrophobia (a fear of enclosed spaces). The machine also makes loud buzzing and clicking noises that you might find disturbing. Some places will give you headphones with music to block this noise out. Do I need a Prescription for an MRI? How do I prepare for my MRI exam?